And that’s all he wrote. What?! Are we implying here that Culp and Welch went toe to toe about something? 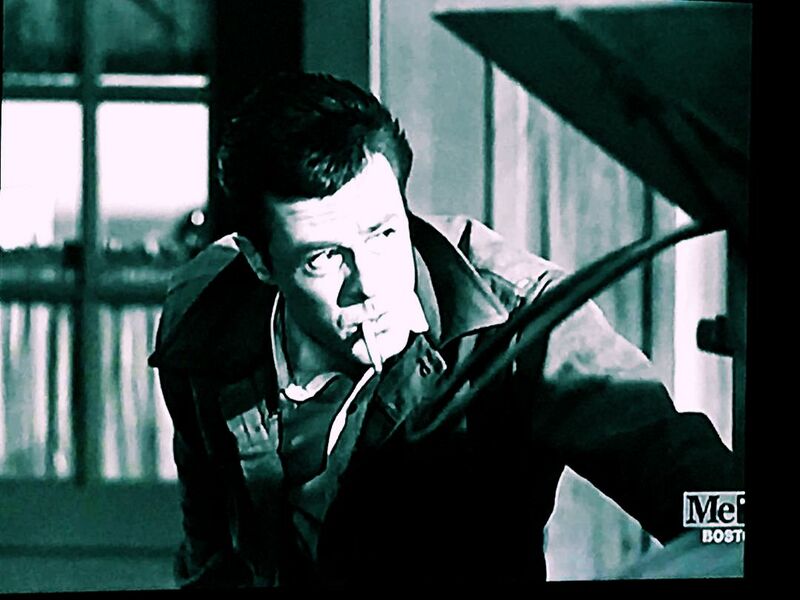 Or did somebody confuse Culp with Patrick Curtis, Welch’s husband at the time? (The two were on the outs during the filming of this movie.) Of course, do you think I could find anything more about this supposed battle royal? Of course not. Incidentally, I found nothing more about the salary dispute and can only assume it was resolved and everyone was paid. Earl Wilson chimed in as well, commenting on the situation between Raquel Welch and husband Patrick Curtis. Things were not well but on April 8, 1971, Wilson reported that things had been “resolved.” I’m guessing that resolved meant they split up, which was what was reported four days later by Norma Lee Browning of the Chicago Tribune. (Welch and Curtis were divorced by January of ’72). 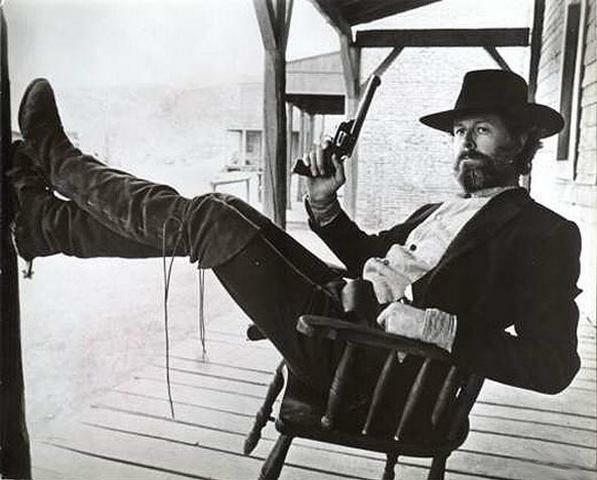 If the trite breathless Hollywood “news” items weren’t bad enough, reviews for ‘Hannie Caulder’ were not particularly kind or enthusiastic. “A travesty of the western genre.” “Bland Mediocrity.” One reviewer points out that the film can’t seem to make up its mind if it’s a tragedy or a comedy (which I’ll concede is a legitimate point). 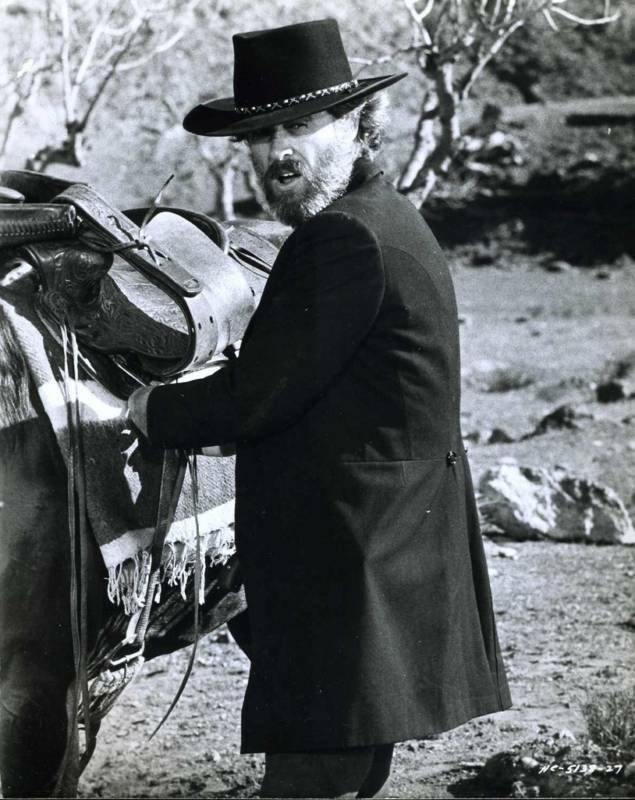 On the other end of the spectrum, Jamie Portman of the Calgary Herald wrote on August 9, 1972, “With his greying beard, dark jacket and granny glasses, Thomas Luther looks more circuit preacher than lethal gunslinger. 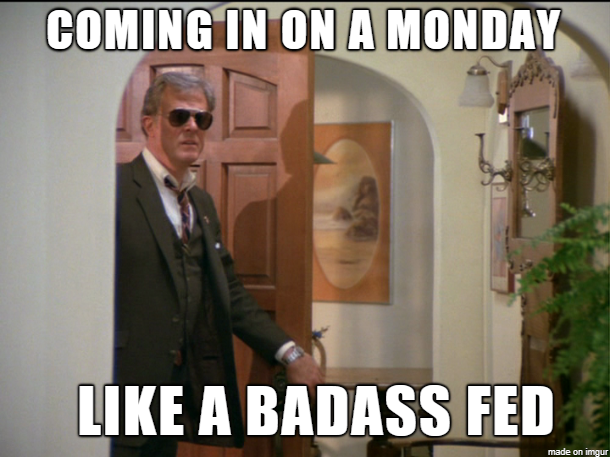 Look closer and you make the improbable discovery that it’s really Robert Culp hiding behind all that foliage. Man. As I read these reviews all I could think of was how hard these critics had to work to try an outdo each other in the snark and smarm department back then. Then I realized that nothing’s changed since. 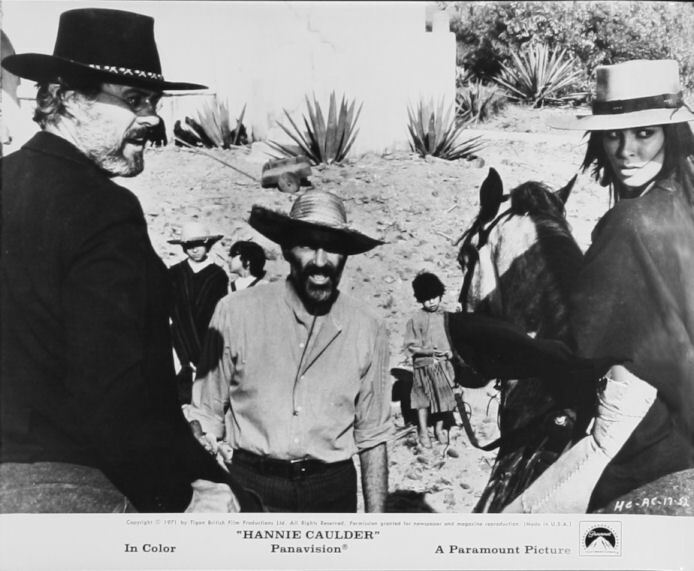 My non-snark, non-smarm overview and screen caps of “Hannie Caulder” can be found here.